I have limits. I know them now, and I’m prepared to push them. Limits aren’t permanent – they’re not a ceiling on progress. 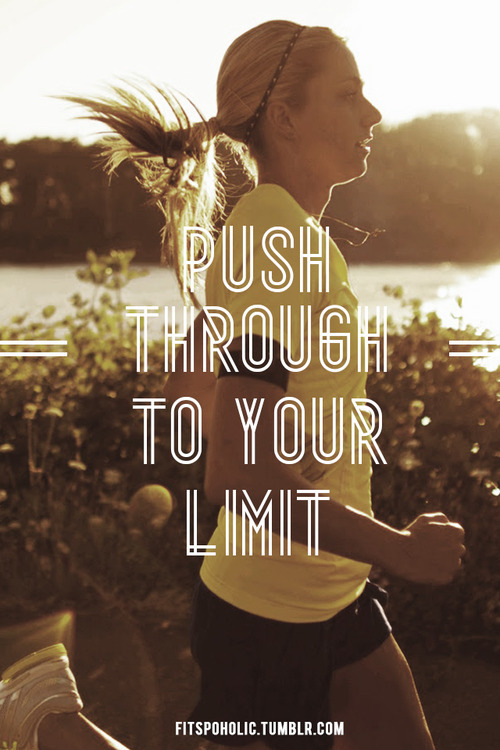 Limits are just the tough part of the ladder where there’s a rung or two missing. With a bit of a push and a jump, you can get over the hurdle. But I’ve got to be realistic about it. I won’t be running the half marathon in February. Instead, I’ll be running the 10km with the view of pushing myself harder over the shorter distance, rather than struggling with a half-arsed half-marathon. My training just hasn’t been good enough to do a good job. Yes, I feel stink about it. But I’d rather be honest about it now, and be realistic about my goals. It was always going to be tough, but I just haven’t followed a good enough plan to make the impossibly-hard be difficult-but-obtainable. Remember, goals have to be SMART. I’ll be sticking to much smaller, achievable goals for now. I’m sure you made the best choice for you, and I hope to be seeing you at next years Half. I am following a pretty simple but seemingly effective plan. I have made great progress in just the first 7 weeks, nearly a whole minute improvement in my pace. It emphasizes observing the rest day and is very specific yet simple with the different types of runs to be completed. I guess at the end of the day it also comes down to committing and allowing the time for it. Which I still find a challenge, but I have come so far now, I can’t turn back. I’ve had to make that call before myself, and while it feels hard you absolutely have the right mindset – being realistic and having a great 10km as progress towards your next half will be much better than risking injury or the post-half-blues! You’re smarter than many of us runners out there hun! You’ll smash the 10km and then it’s just one km at a time after that 🙂 Good luck. Enjoy the fun run in Feb. Which one were you doing?